All I ever needed to know about Data Science I learned in Driver’s Ed. A few years ago, Harvard Business Review called Data Science “The Sexiest Job of the 21st Century”. Since then, Data Science has moved front and center in almost every industry with the promise of being able to turn mountains of data into actionable insights. 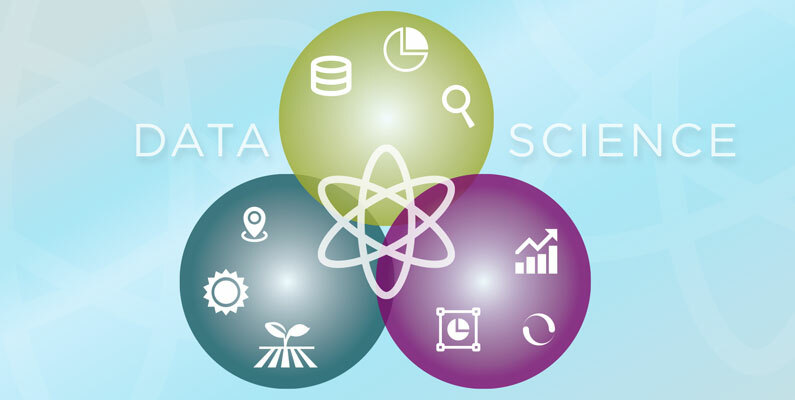 In its simplest form, Data Science is essentially a merging of multiple fields – data analysis, mathematics, statistics and computer science. Truth be told, it really isn’t all that new. As ag marketers, we have spent decades amassing huge amounts of data and then working to find usable insights from it. I am old enough to remember a time when the challenge was in gathering good data beyond the USDA census, vs. today’s challenge of analysis paralysis. So why has this established field become such a hot topic in the last couple of years? The emergence of new tools like machine learning, artificial intelligence and cloud computing have unlocked the potential of our data. I do not claim to be a data scientist, nor have I ever played one on TV. I have, however, had the pleasure of working with some very smart data scientists throughout my career. And I believe one of the keys to success in this space, is creating a basic understanding of what this discipline is and how it can add value across your agency and client marketing teams. Often, the initial hypothesis or insight may originate with the people who are experts on the business side or closest to the customer, not the data experts. The data scientists have the skills and knowledge to analyze and test the theory or potential insight by applying the rigors of their expertise. A few weeks ago, I was at the PrecisionAg Vision Conference listening to someone present on the promise of data science in ag marketing. It was during this presentation, and some of the subsequent discussion over the break that followed, that I found myself thinking back to Driver’s Ed in high school and how those basic principles apply to data science. I still remember “IPDE” being drilled into our heads. It was a four-step process that we were told should be happening in the background any time we got behind the wheel. Identify, Predict, Decide, Execute. The idea was to identify potential risks, predict what might happen, decide how you can best minimize the risk and then execute. By ensuring your entire marketing team appreciates the potential that data science offers, you will begin to find more opportunities to frame problems and opportunities. Your team may never fully understand the incredibly complicated and nuanced art of evaluating possible data sources, cleaning and prepping data sets, running regression or cluster analyses. The discipline of data science can be challenging and complicated, but finding opportunities to benefit from it doesn’t need to be.